If you have been thinking that Dubai Land Department’s (DLD) rent index was a bit unfair, here are some really good news for you. Ensuring transparency and accuracy in every nook and cranny of emirate’s residential areas, including those in the city centre, DLD has announced massive changes in Real Estate Regulatory Agency’s (RERA) rent index update. Presently, the rent index considers only the location and the number of bedrooms, but the updated index would include a new Star rating criteria, which would also consider the quality of apartments, age of the building and other important things. Each building in the emirate will get a Star rating and rents would be decided accordingly. Interestingly, DLD has already initiated work on a building classification system (BCS) which would survey 20,000 plots of land, more than 120,000 apartments, offices, retail, schools, and public amenities. “We are roughly 18 percent done with the survey and finished with the difficult areas of Deira. We are due to finish the process by next year,” Al Dah told a news source. The new classification system would also enable DLD to determine service charges of various localities in the emirate and these would be eventually featured in the service charge indices. The DLD has employed qualified engineers and surveyors and has empowered them with latest technologies to gather and verify land and property data on site with various government databases. 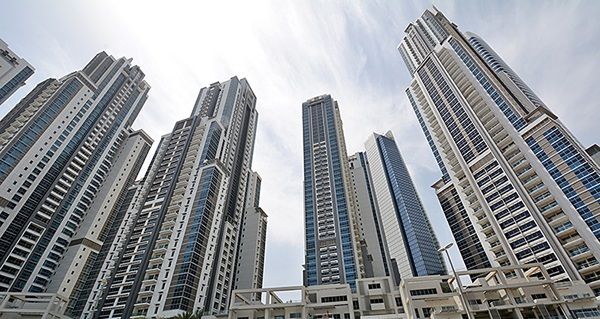 The move is aimed to create a complete database of every single unit (apartment) in Dubai in order to assign each building with a star rating. Experts believe the measures being taken for the new rent index update would not only benefit governmental and regulatory bodies, but also landlords, tenants, investors and relevant businesses. Per reports, the project is being monitored by Dubai Executive Council.